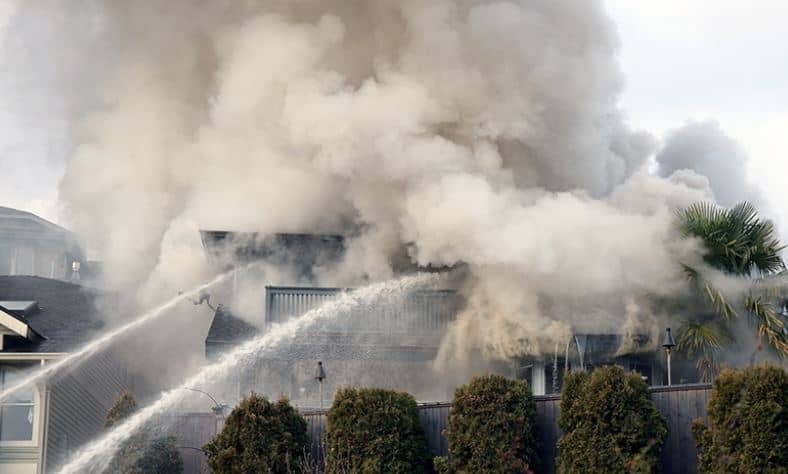 The goal of the fire damage restoration service company is to prevent any further damage; salvage belongings and items and restore your home so it can be safely inhabited once again. At Total Home Services restoration service, we reverse the effects of fire, smoke, water, and mould and they represent our main service pillars. Total Home Services has the expertise and training to quickly help you recover from your home disaster. It is not uncommon for Ken Bradshaw to act in a consulting capacity because of his expertise in the field of fire damage and water damage restoration. The following steps are most common in our approach to helping you get your life back to pre-disaster conditions. Our emergency service hotline ensures a quick response and starts providing immediate relief from your disaster. Your first responders will always be the fire department and other emergency responders and our response is to as quickly as possible start to work to help prevent any further damage to your property. Examples of this might be shutting off the water to your home, or covering holes in the roof to prevent further damage. The list can go on but the point is we are there to add an additional level of protection to your property. In order to plan for the remediation and to communicate with insurance companies and owners, the next thing on the list is to do a Fire Damage Restoration Service Process Assessment. We will want to assess the extent of the damage in your property and the best plan of attack to start you back to recovery. This process will spell out costs and timelines so you will know what has to be done to get you back into your home. We make sure any tarps or temporary boarding or sealing off of areas or pipes is done to stabilize the environment and help to prevent any further damage. Any pools of water will be removed and the site will be dried and sanitized. Sanitization is important as water and moisture can lead to mould and consequently health issues. At this point, carpets and flooring that have been ruined will be removed as well as any furniture that has been contaminated. This process is all done by Total Home Services. Now it is time to restore and repair items if they can be repaired. As an example if the fire was a kitchen fire and if the kitchen cabinets were damaged by fire, the fire damage restoration will mean either replacing or repairing the cabinets. The same would hold true with any other damage such as flooring, countertops, and lighting fixtures. If there is any good news in such a stressful event it is simply the fact that this may very well be an opportunity to do a renovation and update your house to a new modern look. Total Home Services does a lot of home renovations that are not a result of a fire or water damage so we are used to helping homeowners give their homes a fresh new look. If you need a fire and smoke damage restoration company in Coquitlam or anywhere in the Vancouver Lower Mainland area give us a call. We are friendly, easy to talk to and we will do whatever we can to relieve the stress you are under during these trying time. Our company Total Home Services has over 24 years of serving our community. Many of our customers are familiar with the service we offer and think of us with the following in mind. We strive to be referred to as the best community-based company. Providing top-notch renovation advice to all of the tri-cities area. We are easy to talk to and provide free consultation on many of our services. Total Home Services works very hard at providing a Quick Response in all Emergency Situations. We try very hard to be both effective and efficient in working with our clients. Many may refer to us as their preferred contractor in our field. We have been told we are easy to talk to if you are wondering what Restoration Companies do. More information on Fire Found Here. Other Posts on Fire and water damage can be found here. Ken Bradshaw the founder of Total Home Services has been serving Coquitlam and the surrounding area since 1997 and is trained in the following areas which include Fire, Smoke and Water Damage Restoration as well as Asbestos removal. Ken is also a member of the Institute of Inspection Cleaning and Restoration, A member of the Carpet Cleaners Institute of North America, A member of The World Floor Covering Association and holds a WRT Certification.